Read PUZZLED, INC. Archives of Older Product Reviews by TDmonthly. Watch PUZZLED, INC. Archives of Older Product Videos by TDmonthly. 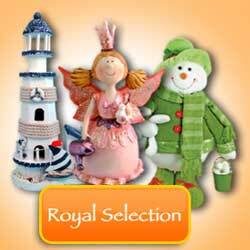 Puzzled, Inc manufacture and wholesale wooden toys, 3d puzzles, Gifts, and Souvenirs. At Puzzled inc you will find a Huge selection of new & exciting, Top Quality Wholesale products for All Stores. Find Unique Seasonal, Country, Metal, Holiday and Nautical Souvenirs to increase your profits today! Check it out! This high grade 3mm plywood 3D wooden puzzle kit is fun and easy to assemble! This puzzle kit comes individually shrink-wrapped with instructions & sandpaper included. Simply push out the pre-cut pieces and put them together in the appropriate slots. It can be finished with paint or varnish or left in natural wood. 3D Wooden puzzles are great for both children and adults, providing a fun, educational activity for the entire family. Once assembled, this model provides hours of fun play and is an excellent collection starter. 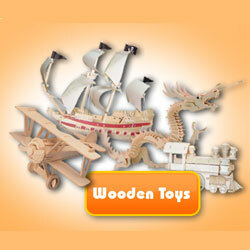 3D wooden puzzles are challenging and educational for children. Building a kit is a fun activity that also improves hand-eye coordination, provides practice in visualization, planning, and encourages creativity. Custom your own 3D or Jigsaw puzzle, all that is needed is an image. Minimum order: 6 per item and $100 Dollar total value.